Amos Clifford has extensive experience as a facilitator in high conflict situations. He calls upon the principles of Restorative Justice and the Way of Council to give every person a chance to voice their truth, and to build bridges of understanding and connection. "It's not always about conflict resolution," Amos says. "Sometimes I encourage groups to set aside the goal of resolving the conflict, and instead take an approach I call 'conflict curiosity.' The premise of this approach is that conflicts arise as a way of showing us where change is needed. If we try to force a resolution we may miss learning something that is deeply important for the vitality of our communities and organizations." Amos has facilitated council in many settings and trained groups in council and restorative practices internationally. He teaches classes on Restorative Justice Facilitation at Sonoma State University, as well as through Center for Restorative Process. He is a recent recipient of the North Bay Peacemaker's Award in recognition for his work bringing restorative practices to schools. He is former Executive Director of Restorative Resources, a non-profit agency providing restorative justice for juvenile offenders in Sonoma County. Amos is trained as a wilderness rites of passage guide through School of Lost Borders. 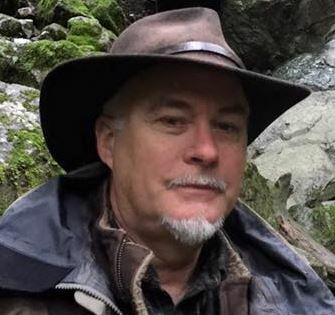 He has also trained in the Way of Council with School of Lost Borders, The Ojai Foundation, and with guidance of his mentor Gigi Coyle, who is co-author of The Way of Council. 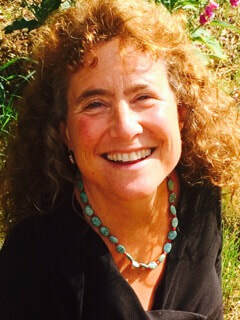 Amos is founder of the Association of Nature and Forest Therapy Guides and Programs, which provides training worldwide in methods of connecting people with nature for their well-being and the well-being of the environment. After twenty-five years as a public school teacher in Northern California, Shari Garn left the profession inspired by what she calls, “a crises of heart and mind”. “The current ‘one-size-fits-all’ focus on academics and test scores, to the exclusion of the social and emotional context and skill development that makes learning possible, is actually at risk of making our children less intelligent”, says Shari. With an MA in restorative practices from the International Institute for Restorative Practices, Shari has developed and delivered trainings in restorative justice practices nationwide, facilitated countless restorative justice conferences for youth and young adults both in schools and in the criminal justice setting, has worked extensively with students, teachers, and site and district administrators implementing proactive and responsive restorative strategies, has been a coach and mentor for school-based restorative practitioners, and has supported district-wide strategic planning for systemic restorative practices implementation. Shari brings extensive personal experience in Circle-work and Council having been a founding member of a consensus-based women’s Circle for over 30 years. She also raised her now grown children in a community dedicated to Circle and Council processes and continues to be an active member of this community. 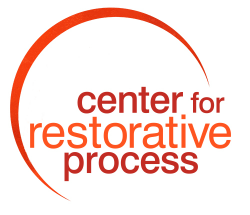 Shari has a special interest in the intersection between restorative justice practices and social justice, trauma sensitivity and mindfulness in schools. As a musician, and music and dance instructor, Shari enjoys integrating the community building power of music and movement into her workshops.